For information on books by Jerald Finney and other important books click: Books page of “Church and State Law Website”. God Betrayed/Separation of Church and State: The Biblical Principles and the American Application (Link to preview of God Betrayed) may be ordered from Amazon by clicking the following link: God Betrayed on Amazon.com or from Barnes and Nobel by clicking the following link: God Betrayed on Barnes and Noble. All books by Jerald Finney as well as many of the books he has referenced and read may also be ordered by left clicking “Books” (on the “Church and State Law” website) or directly from amazon.com at the following links: (1) Render Unto God the Things that Are His: A Systematic Study of Romans 13 and Related Verses (Kindle only); (2) The Most Important Thing: Loving God and/or Winning Souls (Kindle only); (3) Separation of Church and State/God’s Churches: Spiritual or Legal Entities? 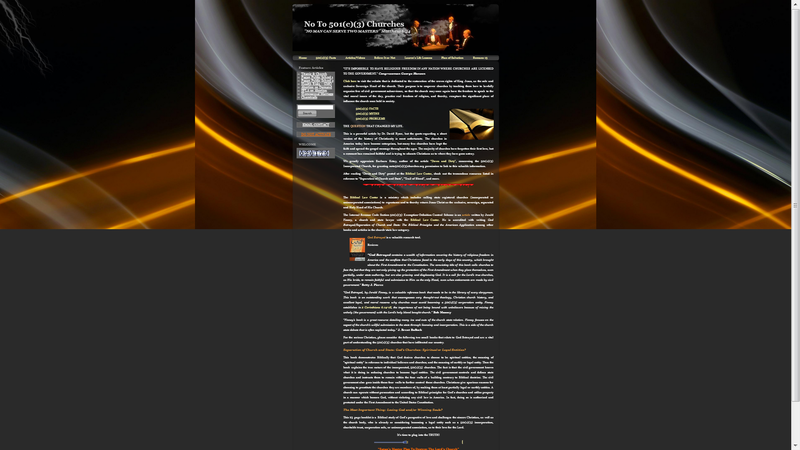 (Link to preview of Separation of Church and State/God’s Churches: Spiritual or Legal Entities?) which can also be ordered by clicking the following Barnes and Noble link: Separation of Church and State on Barnes and Noble. 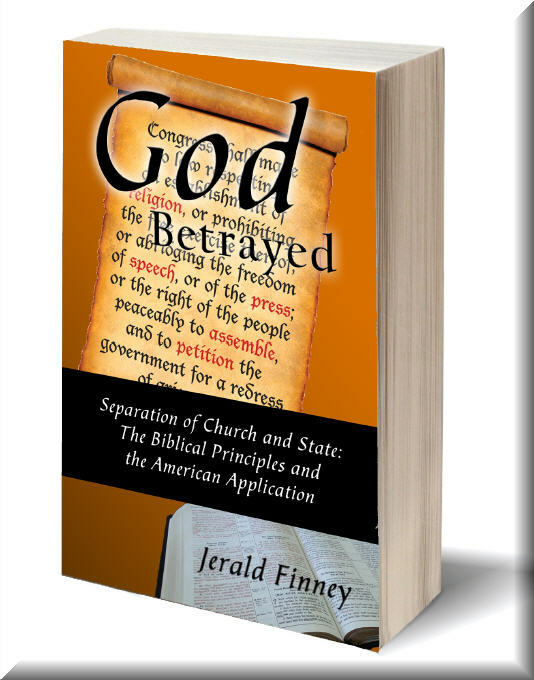 Complete ordering information for all books by Jerald Finney is on the “Books Page of Church and State Law” website and on the “Order Information for Books by Jerald Finney” page of this website.